Cort and Boone are best friends, working together and often loving women together. Taking a hot little blonde to a motel and sharing her is nothing new for them. The lingering thoughts of the woman are. Neither of them can stop thinking about her. When they discover Nix being held against her will, they jump into action, but it's not the kind they are normally used to. They are suddenly able to shift into huge, furry beasts. Confused and shocked, they take Nix home only to discover Nix is an Other, as in other than human. She has powers, a life force, and a need for deep secrecy. 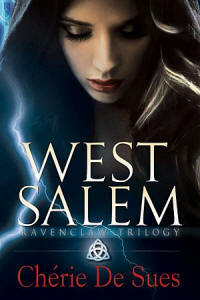 She belongs to a world Cort and Boone have never heard of but suddenly find themselves a part of. Their only problem? Someone else knows about Nix, and she's at the top of their list of most wanted. Cort and Boone and their friends have to plan fast and work even faster to save Nix and the others of their kind that are in danger. But first, they have to figure out who the bad guy is. Imagine the shock you might feel if, while fighting, you suddenly become seven-foot hairy beast. That is exactly what happened to Boone and Cort all because they decided to take a pretty little vixen for a romp in the sack. Nix’s feisty personality amused me throughout the story. You could tell from the beginning she was a woman who took what she wanted, and not getting her way was not an option. This is demonstrated in various parts of the story. My favorite display of power was when she and Dane (Cort and Boone's boss) bicker. She forces anyone she comes into contact with, male or female, to respect her and recognize she is just as strong as they are if not stronger. I feel bad for anyone who will question this girl’s strength because she has absolutely no problem showing them just how strong she truly is. One character who I felt should have had a little of Nix’s strength is Boone. He was clearly the bleeding heart in the story, but he came off a little too weak because of his emotions at times. It was rare that he would stand up for himself and he always seem to be the one trying to make things right. The one time he did take charge he quickly regretted it. This was made even clearer because all of the other males had alpha qualities and Nix showed she could clearly stomp with the big dogs. While Boone had the physical strength to take on any challenge he needed just a bit more confidence. The antagonistic conflict worked because it really helped fortify the relationship between Cort, Boone and Nix. It is what brought them back together and it made their relationship develop quicker because they felt the need to protect one another. It also gave them a chance to see the strength in one another when faced with conflict. In many relationships struggles will test the foundation of the emotions and this story is no expectation. This story has a nice pace from beginning to end which made it an easy read. The relationship developed from a one night stand to a full blown love affair and I was just happy that I was allowed to come along for the ride. The guy-on-guy action was also worth strapping on my seatbelt for. 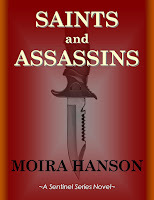 With a great plot and the furious Nix this story can keep anyone entertained.